Four more mergers of black holes, including the biggest one recorded to date, have been added to a catalog generated by gravitational-wave detectors. The additions were announced today by the teams in charge of the Laser Interferometer Gravitational-Wave Observatory, or LIGO, and the European-based Virgo detector. The full list of stellar-mass binary black hole mergers now stands at 10, with a neutron-star merger thrown in for good measure. The four previously unreported detections came to light during a re-analysis of data from LIGO’s first two observing runs. The third run, known as O3, is scheduled to begin next spring. 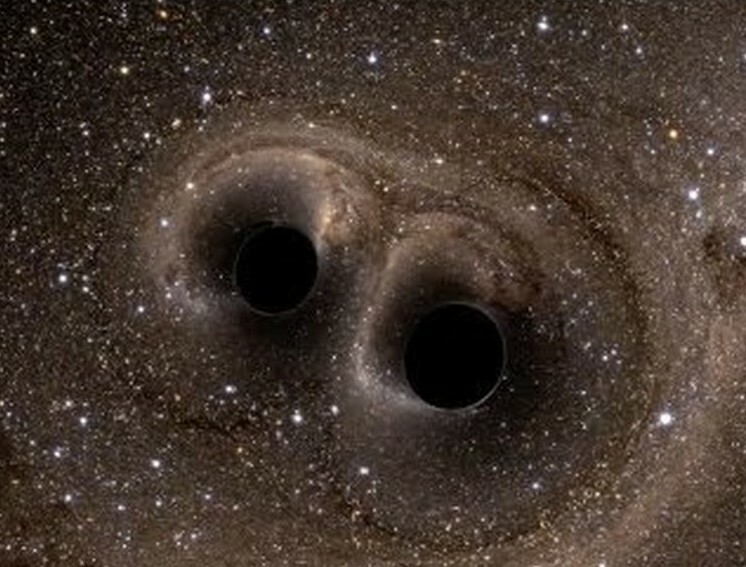 This entry was posted in GeekWire and tagged Black Holes, LIGO, Science, Space. Bookmark the permalink.